Ladakh The land of high altitude passes, snow capped mountains, cold desert, silent monasteries and mysterious culture. It has everything to appeal any kind of traveller. 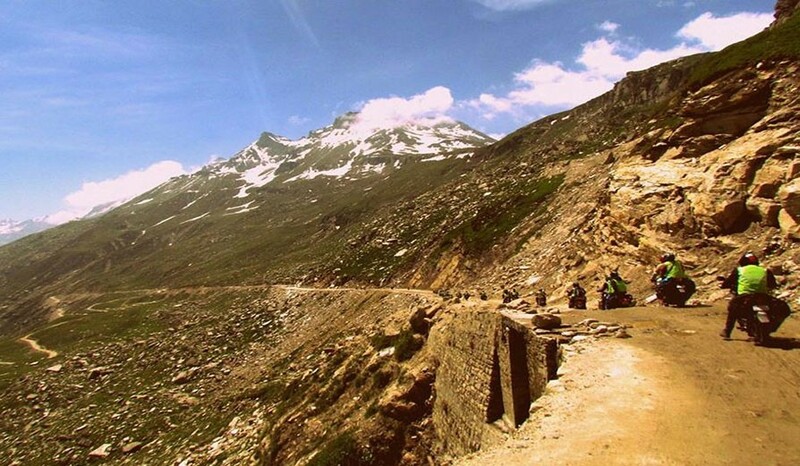 Its the dream destination of every traveller, adventure seeker and it never disappoints you in any term.Trans Himalayan route which connects Leh from Manali offers a lot of spectacular views and challenges. 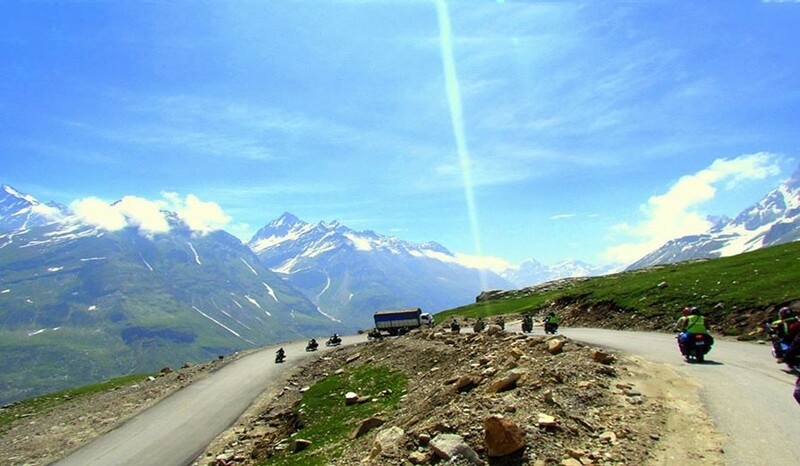 Each high altitude pass is having its own uniqueness right from Rohatang Pass to Baralacha La to Gata Loops to Tanglang La to Chang la to Khardung La. It gives you immense pleasure to drive /ride on these roads.Sightseeing of Ladakh cannot be completed without visiting picturesque Pangong lake and scenic Nubra Valley. Experience the enchanting theme of mantra “Om Mani Padme Hum” which connects your mind & soul while visiting Monasteries. Board Paschim Express from Bandra Terminus by 10:30 am. Reach Chandigarh by 05:00 pm. Check in hotel and collect your bikes from Cargo office. Late evening introduction and briefing session followed with dinner. Overnight stay at Hotel. 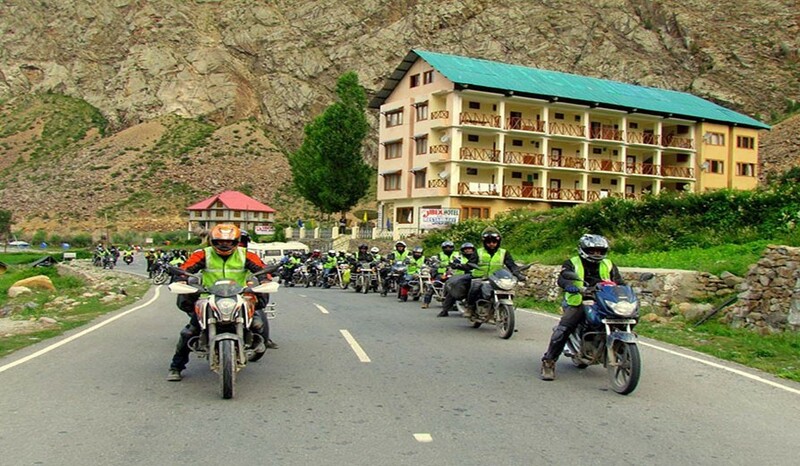 Gear up for the very first day of the most awaited Ladakh bike ride. It will be the longest leg of the bike expedition. Post breakfast, start riding towards Manali via Roopnagar, Sundarnagar, Mandi and Kullu. Late evening arrival at Manali. Overnight stay at Hotel. After a full day ride, it is time to explore Manali ! Enjoy the local sight- seeing at Manikaran, Hadimba Temple, Solang Valley (on your own). You may also shop few spare parts of bikes or give it for servicing. Overnight stay at Hotel. Early morning wake up call. Have healthy breakfast and start the bike ride from Manali to Jispa. Cross the very first challenge of the trip-Rohtang pass (13,050 fts from MSL). Refuel your bike at Tandi (last petrol pump on this road till leh). Enroute lunch at Keylong. Early evening arrival at Jispa. Evening explore Jispa village and beautiful riverside of Bhaga River. Overnight stay at Hotel. Pang-Gata Loops-Lachulung La-Pang-Tanglangla- Rumtse- Upashi- Leh. Finally a day to reach the most beautiful paradise on earth-Leh ! A ride lined up with back to back adventure !! Ride starts by passing Gata Loops (15,302 fts from MSL), Pang village, More Plains, Tanglang La (17,480 fts from MSL) claimed as the third highest motor able pass in the world. Evening park your bikes at Leh. Overnight stay at Hotel. 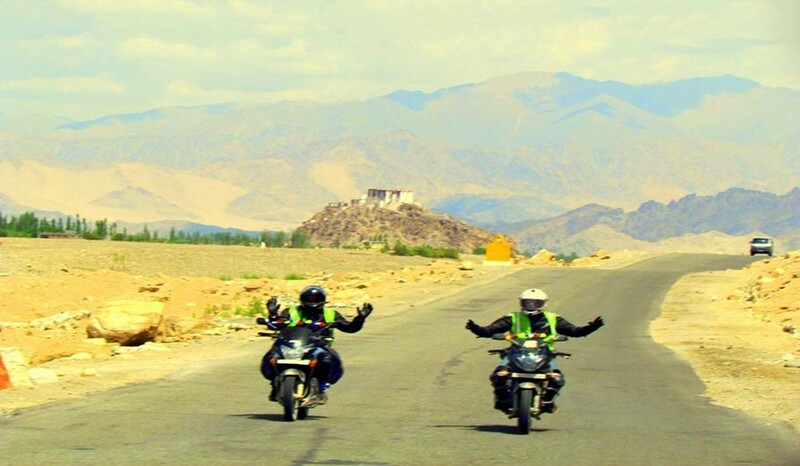 The ride starts by visiting Thiksey Monastery, Shey Palace on the way from Leh to Pangong. 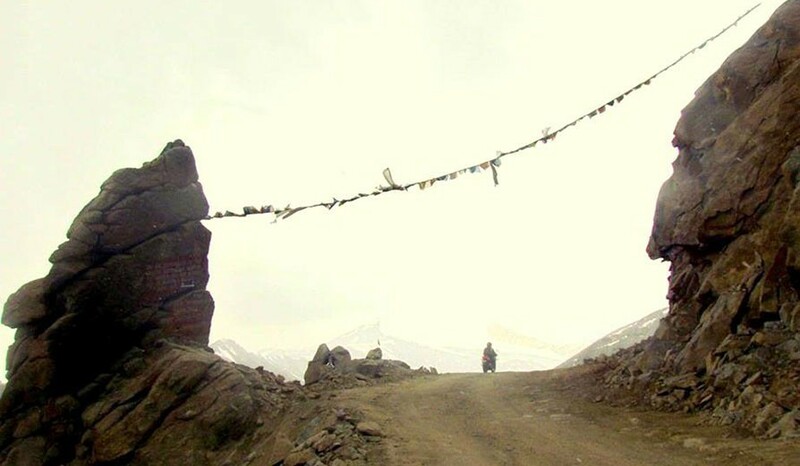 Cross the second highest motorable pass in the world- Chang La (17,590 fts from MSL). Reach Spangmik village and check in to luxurious tents. Evening free to visit the Pangong Lake (14,270 fts from MSL). Overnight stay at Campsite. After breakfast visit 3 idiots point and start return journey towards Leh. En-route halts at various places for photography. Evening visit the famous Hemis Monastery before returning to Leh. Overnight stay at Hotel. A picturesque ride to the heaven where snow caps meet the desert ! Early morning ride and cross the second most difficult challenge to cross highest motor-able road of the world-Khardung La(18,380 ft from MSL). After a group photo proceed to Khalsar for lunch. Early evening arrival at Hunder. Check in to tents. Evening free to enjoy Double Hump Camel Ride at Nubra Valley. Overnight stay in Campsite. 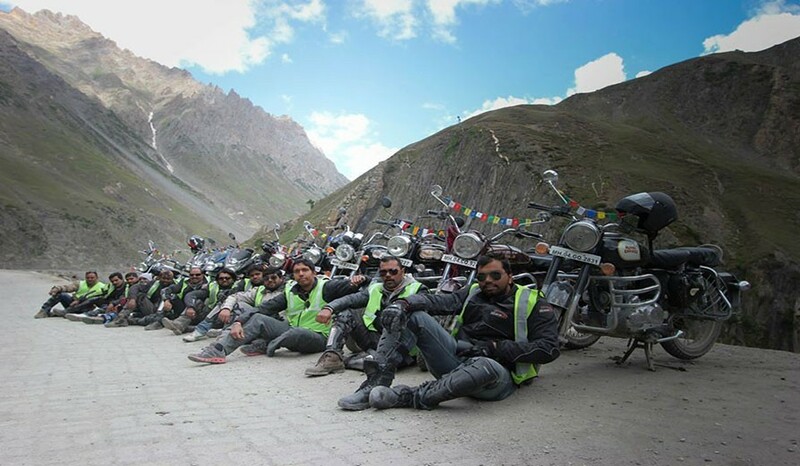 Pack your saddle bags and ride back to Leh. Enroute visit Hall of Fame Army museum and late evening visit Shanti Stupa to witness the scenic view of Leh City. Overnight stay at Hotel. Post breakfast, check out from Leh and start riding to Kargil. En-route visit Magnetic Hill, Pathar Sahib Gurudwara, Confluence of Indus & Zanskar River, Alchi Monastery, Unique Moon Land – beautiful Lamayuru Monastery. Post lunch ride through Fotu La (13,478 fts from MSL). And Namki La (12,139 fts from MSL). Before reaching Kargil visit Mulbek (Buddha Statue). Overnight stay at Hotel. The last day of the Expedition ! A Panoramic ride from Snow Caps to Green Valleys !! Explore the must visit Kargil War Memorial at Drass. An information session dedicated to legendary Kargil War Victory. Observe various peaks like Tiger Hill, Tololing Hill, Batra Top etc. Continue the ride to the last altitude and thrilling pass called Zoji La (11,575 fts from MSL). Late lunch at Sonamarg. Reach Srinagar-Land of Lakes ! Celebrate the exclusive evening at Srinagar for completing the Toughest Bike Ride of the World ! 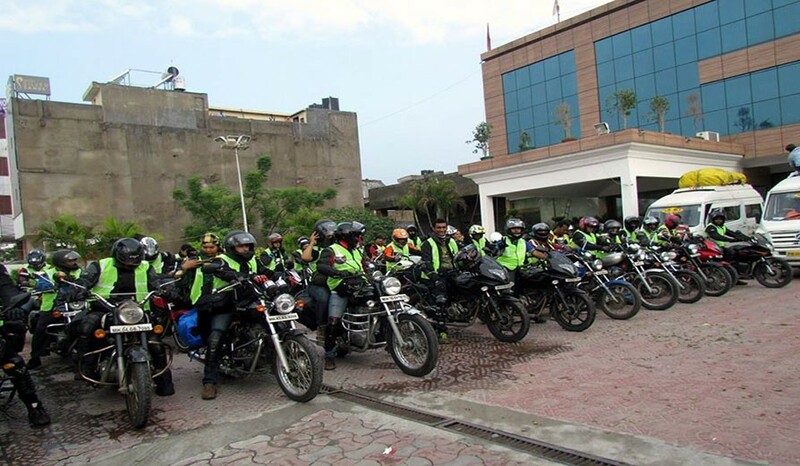 Transfers by your bike by Gati/Safex Courier. 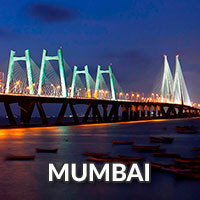 You may enjoy local sightseeing or rest for the day . Overnight in Srinagar. What kind of of Hotels you are going to provide in it ? Is this tour schedule hectic? How many Female Travellers will be travelling ? Generally for every outing we have 40% girls count at times we get 60-70% girls on tour. So girls seems to be exploring the world more !! Will there be network there? Generally we don’t get networks on such destinations as this places are untouched and are far away from human disturbance. But there are few destinations where you get networks, so you can consider few exceptions. Will you assist us with train/flight bookings ? What will be weather of the place we are travelling to ? As we are fortunate to get birth in India, we have three different seasons accordingly you can prepare yourself for the event. But human disturbance has caused unwanted weather at times, if such is the case you will be informed about the weather 2 days in advance of the outing date. I am Jain, so will you be able to arrange Jain food for me ? How will be the transport arrangements ? The type of vehicle depends upon the batch size. Mostly it will be wither a tempo traveler Or Innova. But we make sure private vehicle are provided. Why lunch is not included in the tour cost ? Lunch is not included because its not a routine travel destination so preset food booking is not available. There are lots of stand alone dhaba’s en route where we going to stop for lunch so you will get a chance to taste local food as per your choice and food is lot cheaper as compared to preset lunch. Can I get room on twin sharing ? Definitely yes, but it will be on extra cost and as per availability. One needs to inform us well in advance. What does quadruple or Triple sharing means ? Quadruple sharing means 4 travellers will be sharing in one room and triple means travellers sharing one room, extra mattress will be provided accordingly. What is tentative arrival & departure time ? It will be communicated to you mail only. What all things to carry ? What is the Age group of travelers joining the tour? 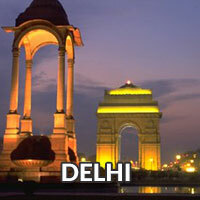 Normally travelers of all age group travel with us as Journey of Travel is not limited to any specific age. To be specific for bike expeditions, we strictly allow 18+ experienced riders to join. Who will be leading the tour ? The leader’s details with contact number will be mailed to you all a week prior the tour. Is everyone coming in group and I will be travelling alone ? We get many individual registrations and few group registrations also, so no need to worry you will make some really good friends on event you won’t be left alone. What is the group size ? Are the entry fees included ? Please check the inclusions and exclusions list. How much baggage we need to carry ? Carry all required things with minimum baggage. 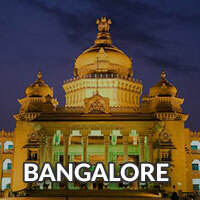 As its an long tours one need to carry your luggage accordingly as we are travelling from one place to other everyday. Can we get a discount for 02 People ? You will only get a discount for a group size of minimum group of 05 people. 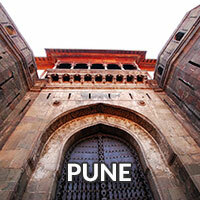 You may also register as Lifetime Member to avail the discounts on such trips. Is the flight / train cost included ? No, The flight / train cost are excluded from the tour cost. Any personal expenses like Laundry Bills, Table Bills, Camera Fees, Tips or gratitude. Any medical / rescue evacuation due to mishaps like bad weather, ill health, roadblocks and/or any factors beyond control.